Imagine the bidding for your eBay auction has reached over $250, but eBay tells bidders they can buy it now for $200. What?! "Current bid: $257.00 (or buy it now for $200.00)." Expressing sympathy for the seller on whose auction she had bid on, the reader wrote to us, "Thank God you really can't do it." Not every bidder would feel that way if presented with a way to save money on something they thought worth bidding on. Looking at the auction listing's bid history, it showed the auction had a starting price of $150. We checked later and the auction ended for $433 - no thanks to eBay's blunder. Unless a bidder informs them, sellers would have no way of know this was happening to one of their listings. If any bidders approach you about a "buy it now" price for one of your auction listings that's lower than the current bidding, this may be why. Looks like sloppy programming or a really stupid action on the part of a marketing analyst. The auction probably had a buy it now price of $200 before any bids were in place, since the buy it now price has to be at least 30% higher than the opening bid of $150. I can't imagine what flawed logic caused them to reach out to someone once there were bids in place. Especially since the recipient was already a bidder and the buy it now price was no longer valid. "Please try unplugging your modem"
And as usual, you will get lip service telling you that they cannot recreate this problem, therefore it doesn't exist, sweep sweep. They are off inventing some other bell or whistle that no one wants, rather than fix what is really broken. The inmates have taken over. And ebay couldn't care less about any of this. This is the 'restless' part of the experimentation Kraken eBay unleashed in their haste to boast the next best thing. In this case, it's their most recently, apparently yet again unfully tested, auto race to the basement functionality upgrade. Haste leads to lack of attention to detail. 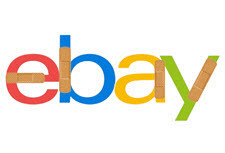 ebay has become a sanctuary city for glitches. The auction was a straight auction without any Buy It Now. Started at $150 and that was it. No one would put a Leo Schachter (think The LEO Diamond) 3/4 carat ring on with a Buy that low. on the other hand - could this have possibly been something like the seller had more in stock and was willing to take all the $200 offers he/she could get? There never was a buy it now on the auction from the start. eBay decided without my approval that my listing needed "Best Offer" added to it. . . I revised and removed the "Best Offer" feature they thought was best for my listing! I had the item listed at $150 and lowered it to $100, I have NO intention on taking anything less then $100, yet eBay added the "best offer" to it without even asking me. . .. Most likely the email was sent but was delayed for what ever reason and did not arrive till the auction price was past $200. As a seller I normally get emails from ebay hours after an event starts such as listing sales. Since I was on the count down with this item, it was well past $200 when I received the email. Something is very wrong with their pushes to finalize sales at the expense of the seller. It shows how miscalculating their programming code is. Everyone needs to be vigilant with their listings now or lord knows what will see for too little next. Note to Ebay: Start a separate auction site (like Goodwill has). Call it Ebay Auctions Only! This should be brought to the attention of the OOTP - Devin Wenig's office. In my message folder I'm constantly in communique with the OOTP rep and complaining about stuff. But if the OP will write a letter to Wenig & Cutler, like I do, they will get an answer. Just include your email. I sometimes switch items from BIN to auction. 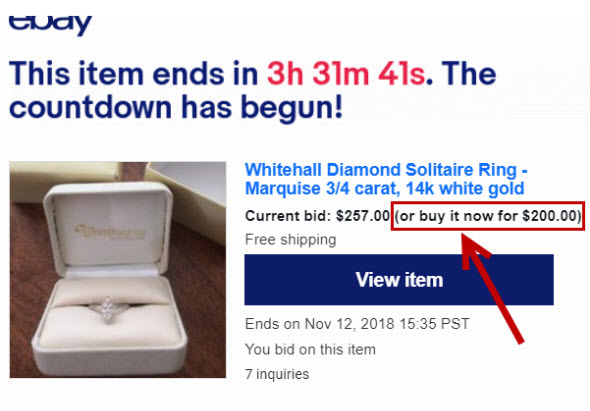 If the BIN had the Best Offer feature engaged it has to be manually disengaged when going to auction otherwise you end up with an auction with best offers accepts which is truly an asinine idea. @toolguy I too found the "Best offer" on auctions feature to be annoying at first until I saw how it could really work. I do think a lot of people are having trouble understanding that it doesn't work like the "fixed price" best offer where you offer less than price stated. How it is supposed to work is - A buyer can offer you a ballpark price that they'd like to pay and get the item earlier. IMO had they left 1 and 3 day durations alone they had almost the same result - decent price, less stale listings sitting around for days, but since they want to charge a $1.00 for those now, everybody stopped using them. I had some napkins listed with a start price of $9.95. A buyer offered me $32.00 and I took it because it was ballpark for what they'd have gone for had I let it ride. Conversely, I had a ceramic XMas tree listed at $19.95 start bid and buyers offered me $10, $15 and $16...those buyers obviously had to think that best offer meant under the start bid and that wasn't going to happen, lol. People will learn. As usual ebay starts testing crap and doesn't bother fully explaining exactly how it works. @Songe- as sellers we should be able to choose the options. I don't want to UNCHECK "buy it now" which is what I do everytime now. It's more work.